March 23 and/or March 25: Sorting work groups at 2nd Harvest food bank. A few of our six slots are open at 1 p.m. at each site for our club. See President Lenore Romney for further details. April 1: Luncheon meeting at Nectar. 3rd quarterly update with President Romney. Nice visit: Bob Knudsen, a Yakima Southwest Rotarian, visited the club luncheon. Bob was a vice president of the Spokane-North Club when Bill Hiatt, former president and former District 5080 governor was in the club. Bob said his club has 80 members and its current project is an aquatics center. Knudsen said his club has changed from lunch meetings to a gathering at 4:15 p.m. on Tuesdays at Zesta Cucina in Yakima. On March 8 the club had 300 people to its “50 Years of Awesomeness,” which raised $102,500 for its projects. Footwear welcome: The Colville Rotary Club and its Interact Club are gathering “gently used” shoes to donate to the needy. Shoes can still be donated at the April 1 luncheon. For Bloomsday, the numbers continue to amaze. Don Kardong, Lilac Bloomsday founder and its continuing guiding light, joined 20 members and guests at the March 18 luncheon to talk about the 43rd event, this year on May 5. 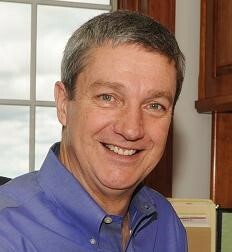 In July, Kardong will retire as Bloomsday’s race director (since 2011) and president earlier. The race director’s job – the only full-time paid position – will go to Jon Neill. He was an intern and ran the Lilac Bloomsday Run who returned to Spokane after law school in Oregon. 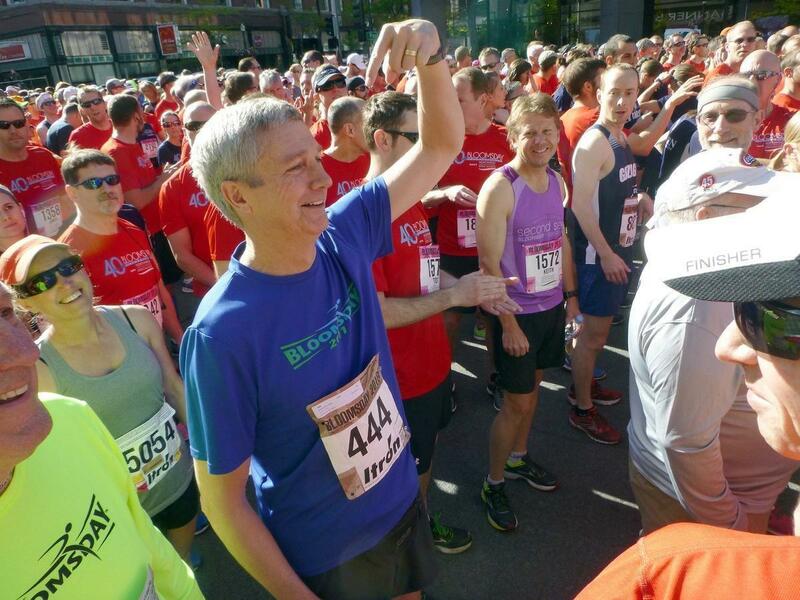 For Kardong, it has been a marathon, literally, when he finished fourth in the Montreal Olympics marathon and a marathon in making Spokane’s race/walk event a smooth event for two generations of Bloomies. “In 2012 my personal goal was to break one hour,” he said. “I made that goal by one second. Now my goal is to break my age,” he added with a laugh. The total of runners and walkers has declined in recent years, he said. Factors include downtown construction, the aging of Baby Boomers and younger generations who are more interested in game console activities and other events like “mud races” and obstacle courses. A crew of six “ambassador” Bloomsday bloggers keep the internet screens busy drumming up interest. Still, Kardong said, having tens of thousands of runners and walkers is an amazing turnout. Top runners and wheelchair-entrants – national and global – still compete in good numbers, including a PRRP Circuit stop at Bloomsday. To help keep kids interested, some 3,000 participants in 3rd to 7th grades will have a junior Bloomsday race April 20 at the Spokane County Fairgrounds. Junior race participants will receive coupons for a pizza and the Silverwood amusement park. In the inaugural Bloomsday, about 1,000 joined the “Run with the Stars” event on a hot, sun-baked afternoon. The original route was over the Maple Street Bridge. By year two, Bloomsday grew to 5,000 participants and nervous city officials noted that the pounding runners were shaking the tall light poles on the bridge, so the route changed through Peaceful Valley. To avoid high mid-day temperatures, the start times were moved to the 9 a.m., and earlier for wheelchair entrants. Bloomsday totals soared, growing to 57,300 in 1988, before leveling off. But the event gained second wind, with its record high, 61,298 in 1996. Still, each finisher got a T–shirt and individual times and ranking. Un-used Bloomsday T-shirts are sent to Africa and other distant sites, such as a children’s home in Ghana. In one African village, the T-shirts were used as team uniforms for sports teams, because that school could not afford other uniforms. After a slump in registrations after 2011, the totals grew for a few years, but then declined to 42,986 in 2017 and 41,702 last year, Kardong said. Weather plays some effects on turnout, but the recent above-average sunny days this week has more runners and walkers on the roads and sidewalks. Of the myriad of numbers, one of Bloomsday’s more interesting statistic is gender. In 1977, with a smaller sample, men were 82 percent of the total. Males were in the majority every year until 1986, when females out-numbered men by 50.7 percent. Last year female participants were 58.4 percent, with males just 41.6 percent. As he eases back on his Bloomsday duties, Kardong said having four active grandkids will keep him busy. He still runs or rides four days a week.